Professor David K. Yoo, director of UCLA’s Asian American Studies Center, announced that the 2013 Aratani CARE grant applications will be accepted for review between Jan. 18 and March 22. Awards will be announced in May. Dr. Lane Hirabayashi, who holds the center’s Aratani Endowed Chair at UCLA, notes that detailed information about the grant and how to apply is available at the Aratani CARE website, www.aratanicare.org. 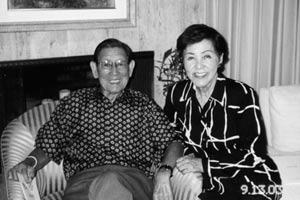 The George and Sakaye Aratani Community Advancement Research Endowment grants are designed to promote projects that will benefit and advance the Japanese American community, as well as strengthen ties between the Japanese American community and UCLA students, staff, and faculty. Non-profit organizations and qualified individuals are invited to apply for grants ranging from $1,000 to $5,000. Applications that include a campus partner (e.g., faculty, staff, student organization or alumnae representation) will be prioritized, but in any case, there must be a demonstrable benefit to both the UCLA and the Japanese American communities. Grants should be completed within a year or less. As before, this year’s grants will be evaluated by a panel of three judges drawn from the Asian American Studies Center’s Faculty Advisory Committee. Specific questions about the Aratani CARE grant that are not covered on the website may be sent to the Aratani CARE Team’s email address, listed on the web page.